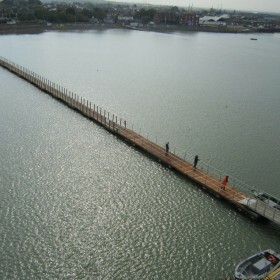 We designed and built a temporary wharf. 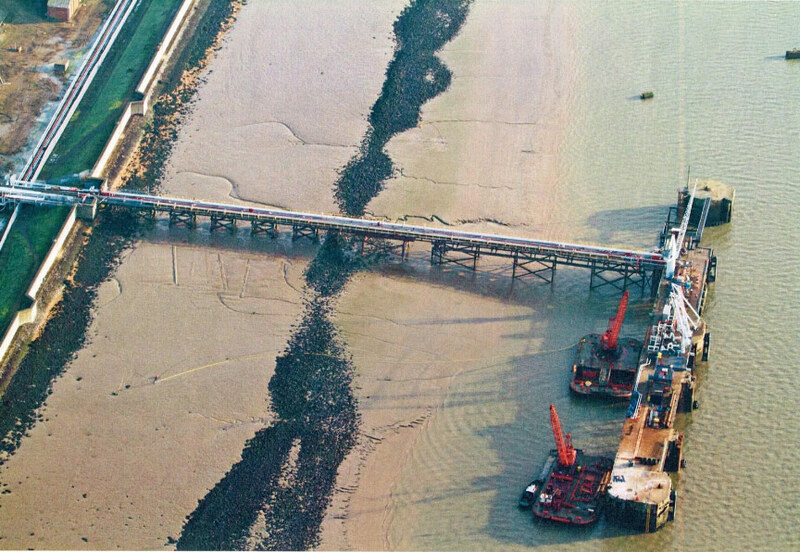 Designed, fabricated and installed a limpet dam to facilitate additional pipe work and valve installation to the Spill Way structure. 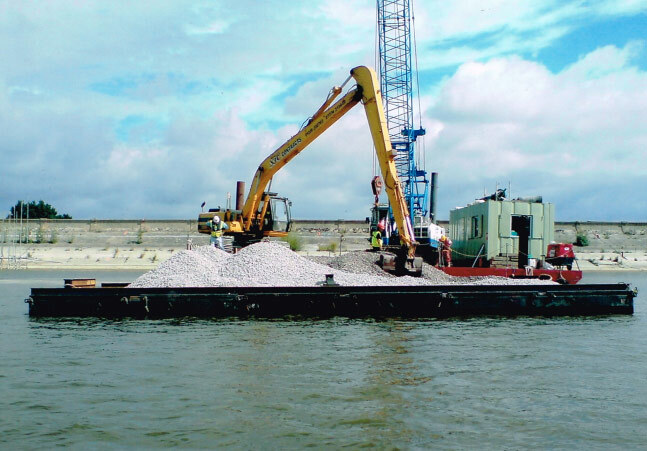 Loaded and transported by pontoons and placed approximately 14,000 tons of granite back to the same profile as the existing Dam Wall at same points over 25 feet below the maintained water level. 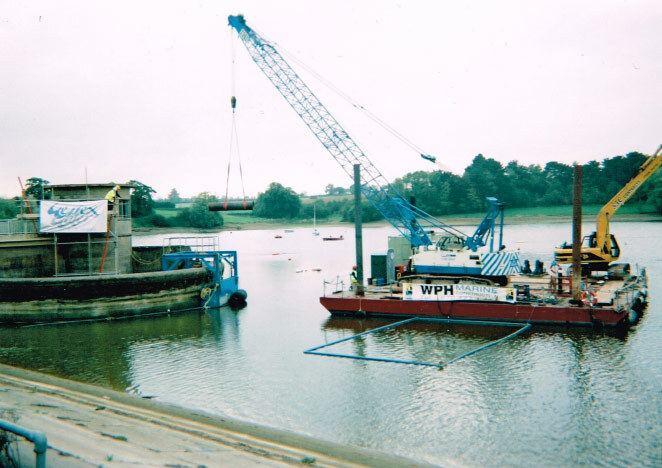 Additional pipe work and valve installation to the Spill Way structure, Sutton Bingham Reservoir, Somerset. 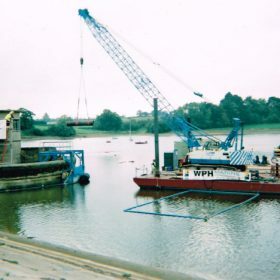 Work on Sutton Bingham Reservoir, Somerset. 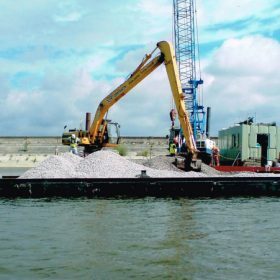 We undertook the controlled dismantling and removal of the largest timber jetty on the River Thames, consisting of 1,000 piles. 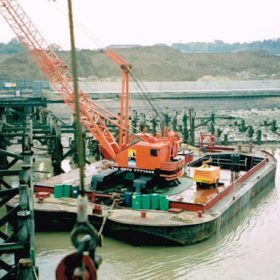 Supplied specialist marine demolition plant including 3 crane barges. 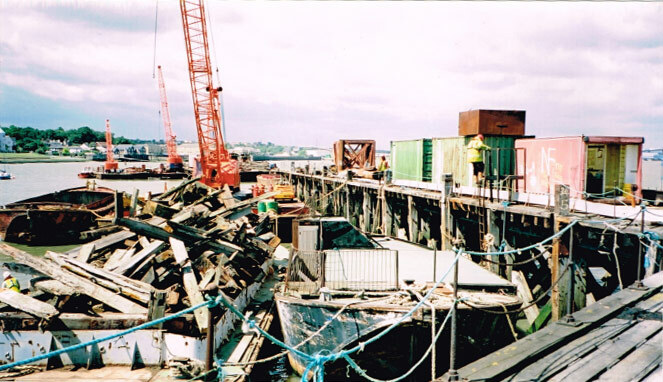 Transported the materials via barges to Medway Ports for environmental recycling and onward disposal. 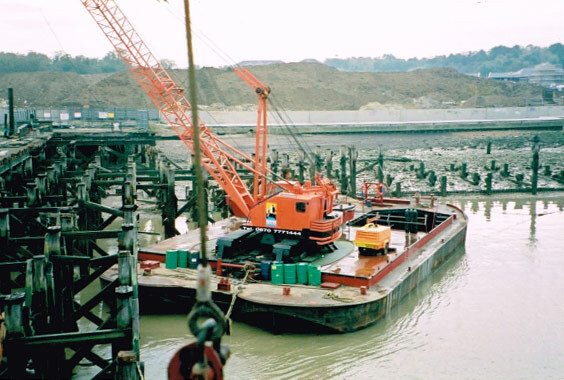 Transporting materials via barges to Medway Ports for environmental recycling and onward disposal. 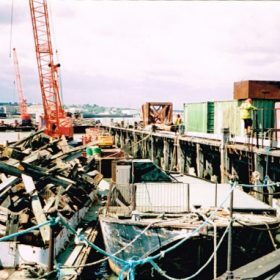 Dismantling and removing timber jetty on the River Thames. The Oikos Storage Ltd terminal on Canvey Island is an important import/storage/export facility for liquid products and bunkering fuels as it is one of the few import tank farms linked to the national underground pipework network servicing airfields and other key facilities. 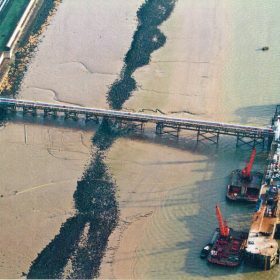 A survey and appraisal was carried out which determined that there were multiple problems with both the berthing jetty and the approach jetty, which provides pedestrian access from the shore and supports the pipelines. 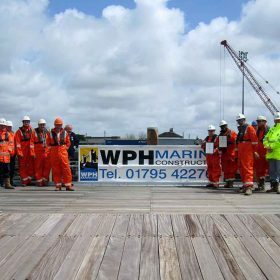 Following a tender process, WPH Marine Construction were appointed, with Haydn Evans Consulting as their design consultant, to carry out further investigations and to design and construct solutions to the problems that had been identified. 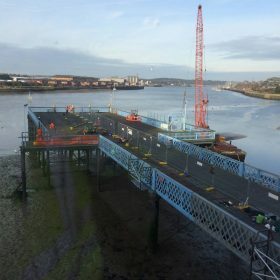 WPH Marine Construction was awarded Institute of Civil Engineering (ICE) Merit Awards for Physical Achievement, Technical Excellence and Innovation for this project. 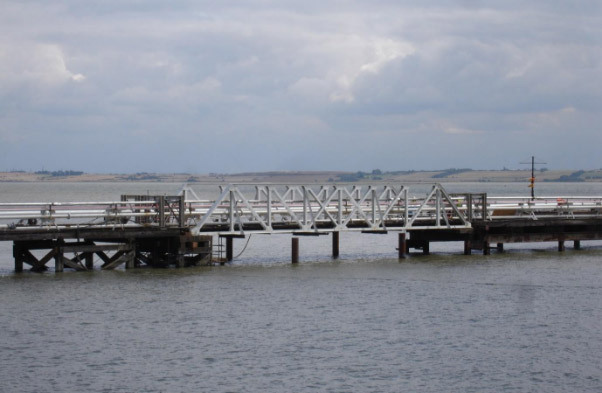 Repair work to No 1 Jetty Canvey Island. 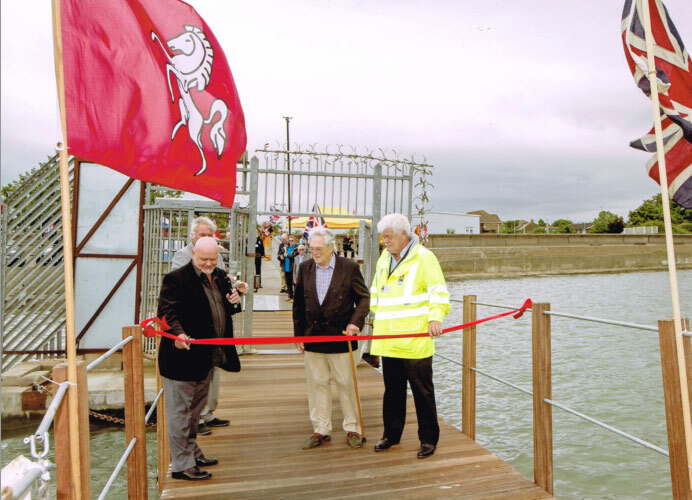 The refurbishment of the All Tide Landing Walkway at Queenborough Harbour, Isle of Sheppey, was completed and officially opened on 14th July 2015 by Cllr Mick Constable. 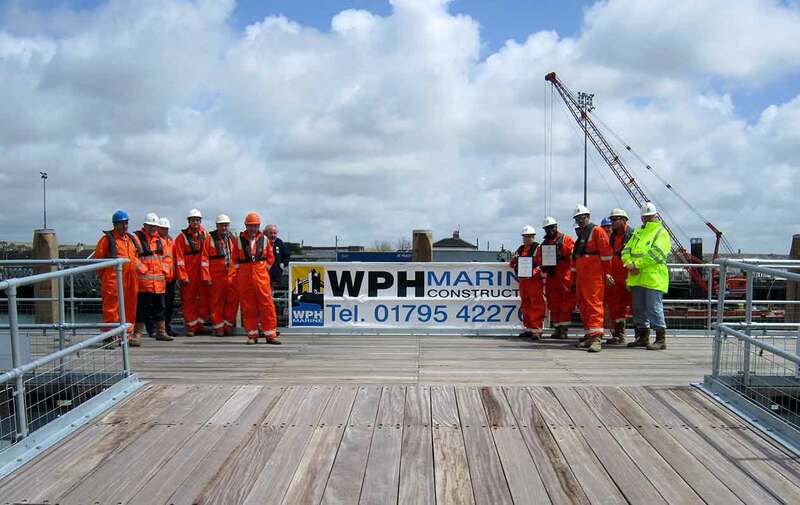 This marked completion of another successful project for WPH Marine Construction having been engaged to undertake the work by the Queenborough Harbour Trust. 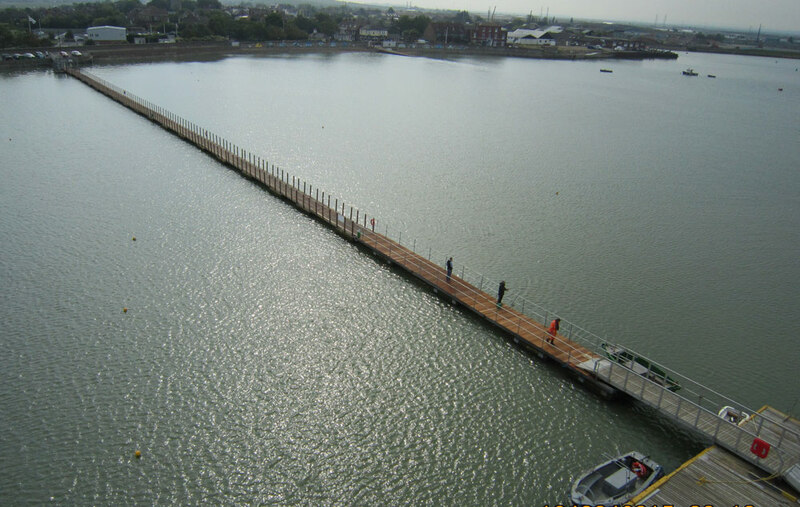 See Facebook for Queenborough Harbour Trust, and details of this and how the Harbour is benefiting now this project is complete. We successfully tendered through Medway Council for the refurbishment of Sun Pier, Chatham, Kent. 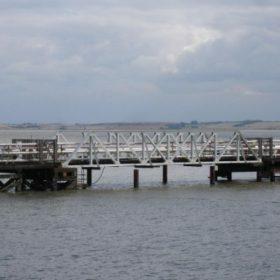 An old Victorian Structure on the River Medway. 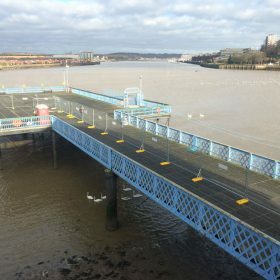 The works included replacing damaged timber decking, replacing areas of steelwork supporting the cast iron ornamental handrail and painting. 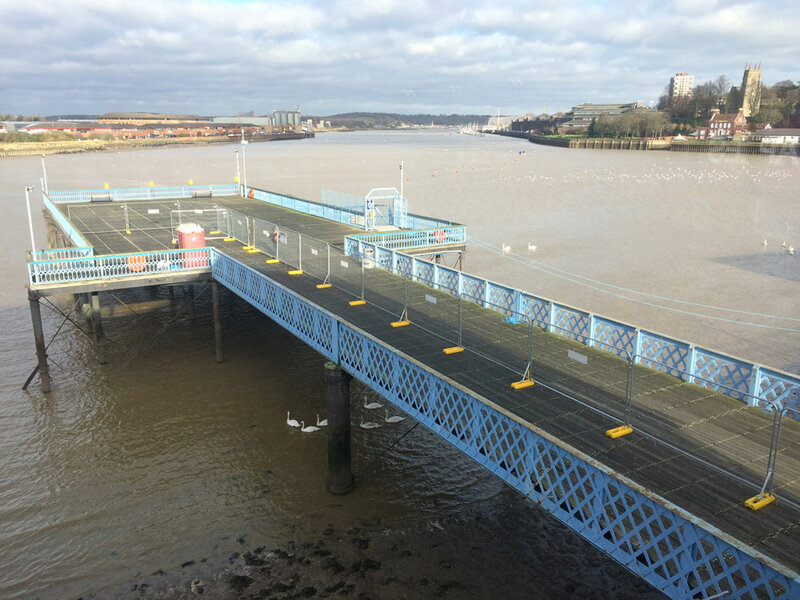 All the work was carried out whilst maintaining public access to the pier. 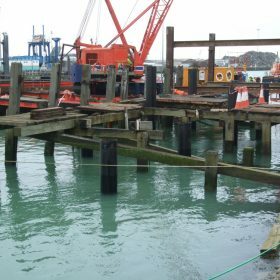 We were engaged by Newhaven Port to demolish an old wooden fishing stage which was considered to be beyond repair and completely rebuild it. 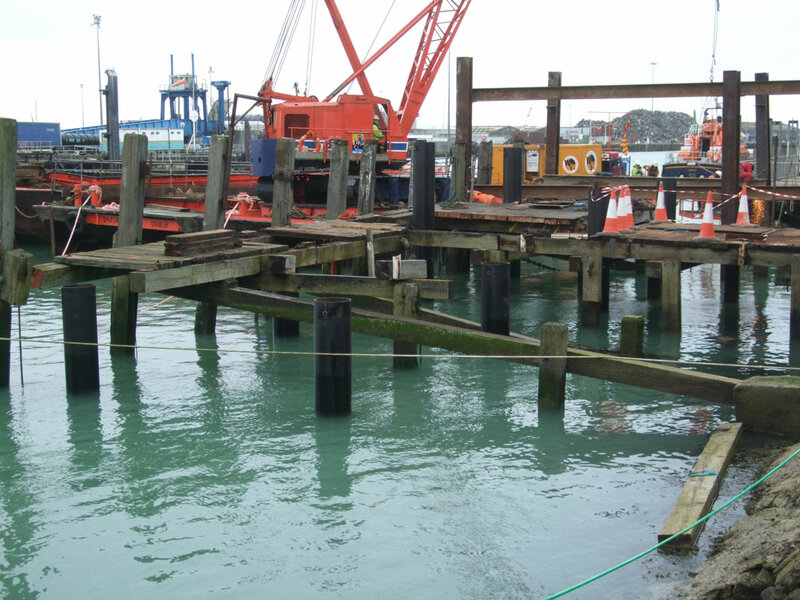 This stage was used by the larger fishing vessels which could not be moored elsewhere in the harbour. 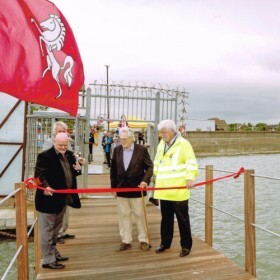 Captain Collins-Williams of Newhaven Port quoted in the press at the official opening ‘The workmanship and the quality of this new stage 7 is obvious to all and we thank WPH for their excellent work’.